One of the best moderate knob sport climbs in Tuolumne. 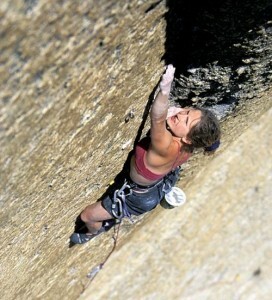 The tricky roof start is the crux, and the climbing higher up is just downright fun. The second pitch is 5.12c. Which SuperTopo guidebooks include a topo for Pretty in Pink Point?